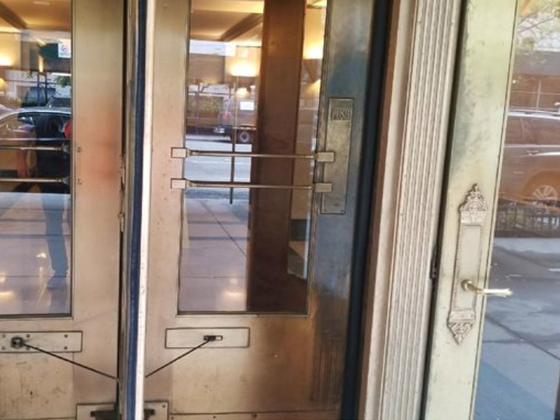 This is what the revolving door and entry way looked like when we arrived on the job site, before we did any metal cleaning and restoration work. The appearance of the metal work in this entry way is dramatically improved with our professional metal refinishing services. 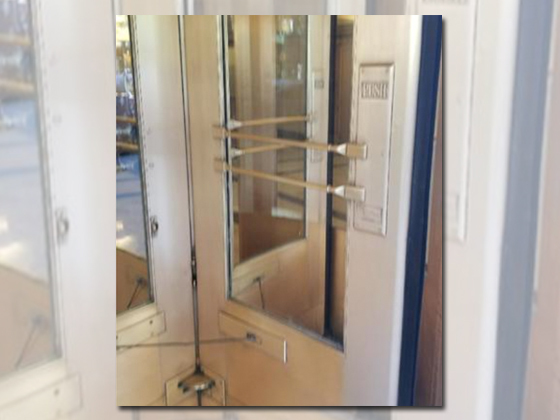 In this BEFORE image, it's easy to see exactly where people put their hands as they passed through the revolving door. Notice the discoloration of the metal. 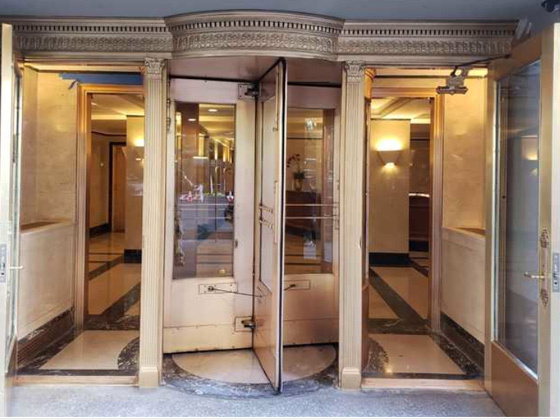 With our metal refinishing services, this revolving door looks brand new again. A sixteen story, red brick New York City co-op built in 1925 has a three story limestone base with a gorgeous canopied entrance featuring a revolving door. 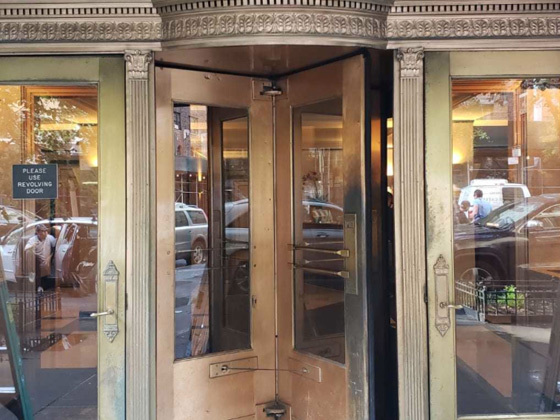 The revolving door had deteriorated with time and use, and was badly in need of restoration. Apartments in this building are very high end. The soiled, pitted, and deteriorated metal was giving tenants and their guests a bad first impression. We used special cleaning solutions formulated specifically for dissolving the dirt and grime that adheres to metal surfaces, and then we refinished the metal to its original soft honed finish. The co-op property manager was very pleased with the results. Call (914) 423-4600 or contact us online for a FREE estimate on metal cleaning and restoration or any of our other services throughout the greater New York City area.